Chilliwack – Parents, here is a wonderful Christmas gift to give to your kids. A one time offer at a very discounted introduction price for first time players that includes a tennis racquet.Tennis is a sport for life, this is where it starts. 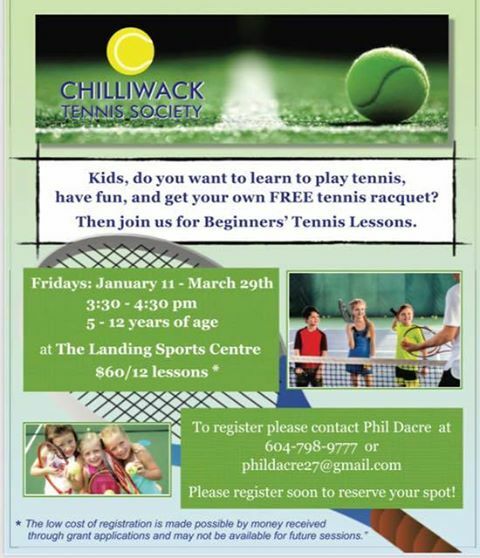 More information below to at the Chilliwack Tennis Society Website. Be the first to comment on "Give Tennis Lessons For Christmas – Chilliwack Tennis Society"